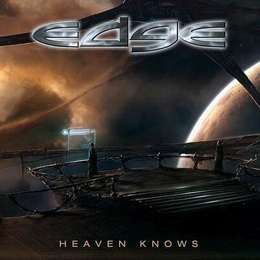 Edge, a new band, comes from Sweden, and brings us some fine AOR/Melodic rock. The band features no less than 3 musicians whom once also played in Shadowland – Jonas Forss, Tobias Andersson and finally Olle Rodehn, and it’s line-up is further completed by Torbjörn Brogren (Heads Or Tales). Special guest on the album is Tommy Denander who plays the guitar solo on one track. From the first tune on I was captivated by this band. These are good songs, and very well performed. They have found the perfect balance between energy and melody, and also have fused their music with just the right amount of keyboards. To top it off, most of the songs are quite catchy. This seems to be a band to look out for in the future, I sure hope this isn’t a detached release, which will remain a classic, but without follow up, like Just If I’s ‘All One People’ album.